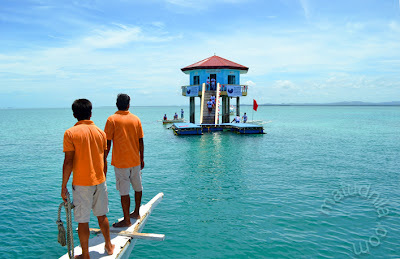 Last February 28 marks our visit to The Minantaw Marine Park and Sanctuary at the "backyard" of Cebu Province - The Eastern stretch of Mactan Island (Lapu-Lapu City) and the Northern Part of Bohol Province. The island in vicinity to the Marine Protected Area - The Minantaw Marine Park and Sanctuary is the Caubian Island still part of Lapu-Lapu City District. It takes you approximately 1 hour by motorized boat on high tide and 1.5 hours when low tide. 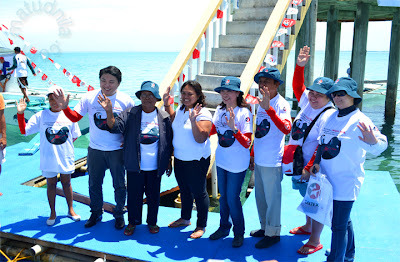 Chevron Philippines Incorporated (CPI), Project Seahorse Foundation (PSF), United Fishers of Caubian (NAMACA) and local government of Lapu-Lapu City, has joint efforts to the conservation of the rare and little known Danajon Double Barrier Reef or Danajon Bank. The 214.6-hectare Minantaw Marine Park and Sanctuary within the Danajon Bank, one of six known double barrier reefs in the world and source of marine biodiversity in the region. Danajon Bank, located in central Philippines, is a critical fishing ground for thousands of fishers from Cebu, Bohol, Leyte and Southern Leyte. It has a regulated fishing zone (62 hectares), seaweed farming zone (55 has. ), sustainable use zone (37 has.) and 50-hectare strictly no-take or core zone. Since the 1950s, wanton exploitation and absence of conservation have severely degraded its marine habitats. Since the creation of the Minantaw Marine Park and Sanctuary, local fisher folks have seen more commercially valuable species like rabbit fish, crabs, squid, seaweeds, “lukot”, and “urok”. To affirm that these initial observations equate to the effectiveness and the sustainability of the marine park and Marine Protected Area, Project Seashore Foundation focused on community organizing, formation and capacity building of the management council, as well as monitoring the biophysical conditions of the marine sanctuary. “Chevron deserves credit for the success of Minantaw Marine Park and Sanctuary and the community of Caubian in creating the country’s first multi-use marine park and sanctuary. It is admirable that a big commercial company like Chevron includes biodiversity as part of their drive for operational excellence. Chevron unfolded the Minantaw Marine Park and Sanctuary using deliberate steps and well-grounded metrics to form a strong tripartite private-governmentcommunity alliance,” said Angelie Nellas, Senior Biologist, Project Seashore Foundation. “Protecting people and the environment is a core value at Chevron that underlies the work we do to conserve biodiversity in association with our projects and operations. A healthy ecosystem impacts Chevron’s business in two ways: first, it allows an environment that supports the drawing and creation of energy from nature in a sustainable and respectful way and; second, providing for the well-being and progress of local communities will ultimate contribute to the health of the economy,” explains Raissa Bautista, Chevron Philippines Inc. manager for policy, gov’t and public affairs. Chevron, PSF, LLC local Govt, Media and Cebu Bloggers visit to Caubian Island. 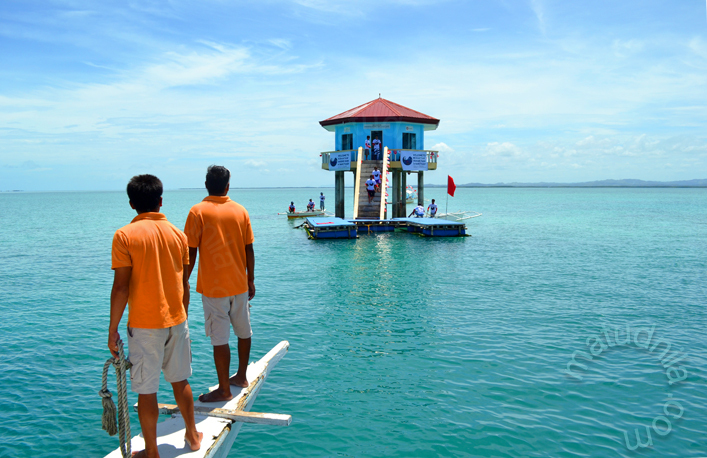 3 years after the creation of Minantaw Marine Park and Sanctuary, the reef is not only showing improved health but the lives of Caubian villagers have seen positive changes as well. Seaweed industry in Cebu gets regular produce from Caubian and the resorts in Olango Island get crabs from Caubian fishers. A nearby resort employs Caubian residents. Money lenders also extend loans to Caubian residents whereas before they stay away from Caubian. 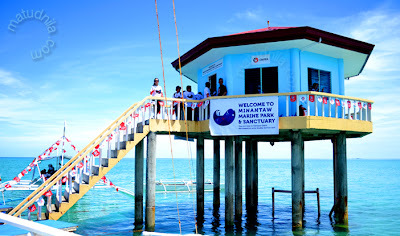 Trips to Minantaw Marine Park and Sanctuary are also increasing from visitors from Mandaue City, Mactan Export Processing Zone employees, resort guests (for swimming), development NGOs from Mindanao and LGUs from Zamboanga Peninsula have all visited the Minantaw Marine Park and Sanctuary. People need to be aware of this valuable Marine treasure which few people even from Cebu know about. The vision for Minantaw Marine Park and Sanctuary is to become a well managed dive destination so that nearby villagers can have an alternative source of livelihood. Danajon Bank’s true value lies on the preservation of its marine habitats for Eco-tourism purposes. The AmCham Foundation gave MMPS project a “Most Promising CSR Award” given during its 2nd AmCham CSR Awards. Anvil Award of Excellence in 2009 from the Public Relations Society of the Philippines. In 2011, it bagged third place in the highly prestigious Asean Champions of Biodiversity Awards. Early in 2012, the project bagged the Commendation Award in the most coveted Corporate Responsibility (CR) category at the 2011 Gold Standards Awards in Singapore. Among the 150 entries in the Gold Standard’s 14 categories, only Chevron managed to represent the Philippines. Chevron Philippines Inc., Marketer of Caltex-branded products, is proud of the success of the Minantaw Marine Park and Sanctuary model and its alignment to the corporate values of the company. 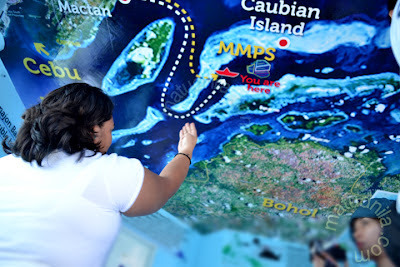 0 comments: on "All You need to Know About the Minantaw Marine Park & Sanctuary"